AI’s light duty retro-fit grapple can be mounted on your existing skid steer or tractor bucket, forks, brush rake, or spike tine bucket. 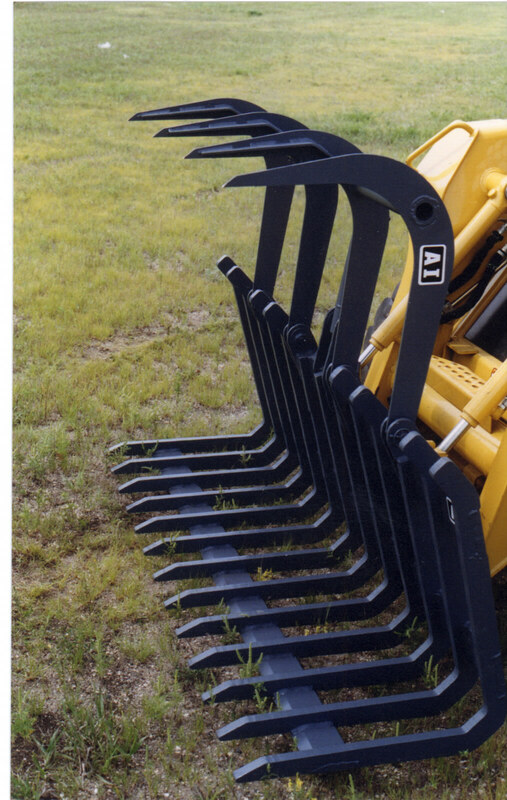 Grapples are ideal for recycling operations, brush, straw, or hard to hold materials. This model includes one 3000 PSI industrial cylinder (HOSES NOT INCLUDED) and features high-strength alloy steel tines. This grapple is generic (retro-fit) design. The mounting brackets are extra large to allow the customer extra steel when cutting for the profile of the bucket. 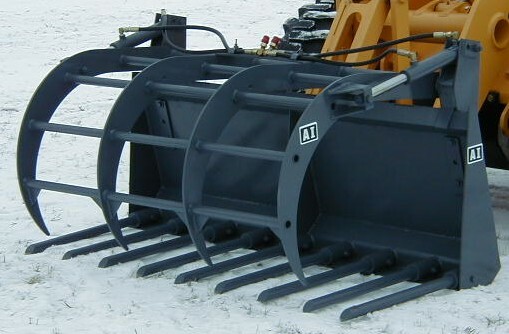 Grapple shown on the AI Scoop Rake. Bucket not included. This grapple is generic (retro-fit) design. 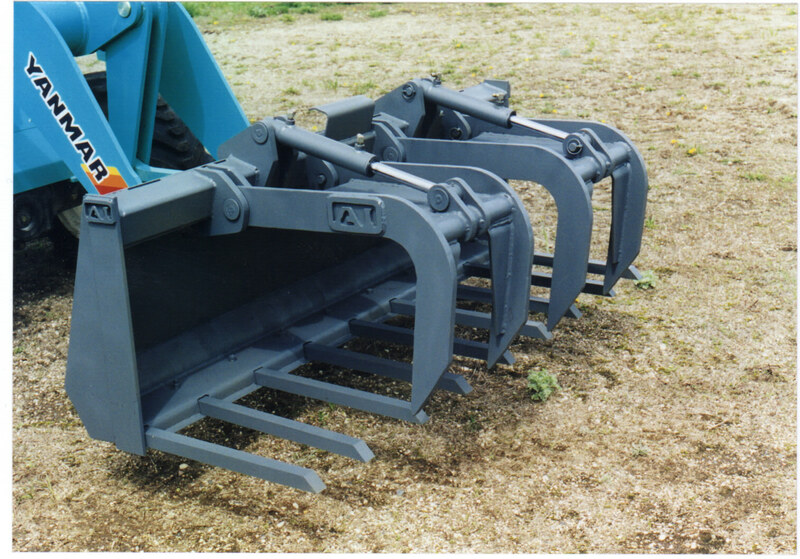 The mounting brackets are extra large to allow the customer extra steel when cutting for the profile of the bucket. Shown on the AI Medium Duty Spike Tine Bucket (old model). Bucket not included. Hydraulic hoses to the “T” included, no whip hoses. This grapple is generic (retro-fit) design. The mounting brackets are extra large to allow the customer extra steel when cutting for the profile of the bucket. Shown on the AI Severe Service Spike Tine Bucket (old model). Bucket not included.